This property is available for both sale and NNN lease at $4,500 / month. Proud family-owned commercial retail business with real estate for sale, running for more than 50 years in Charlotte, the largest city in North Carolina with an estimated population of over 800,000! Great investment opportunity for a new owner wanting to benefit from an established long standing loyal customer base and successful high volume business with steady sales and an estimated potential of $2 million in annual revenue, 35-40% high gross profit margin and tremendous cash flow for years to come. This is a turn-key operation and great for an owner-operator. A dream business for successful buyers looking for an established business in an established mixed use neighborhood with low competition, high foot traffic, high visibility and profitable with turnkey operations. 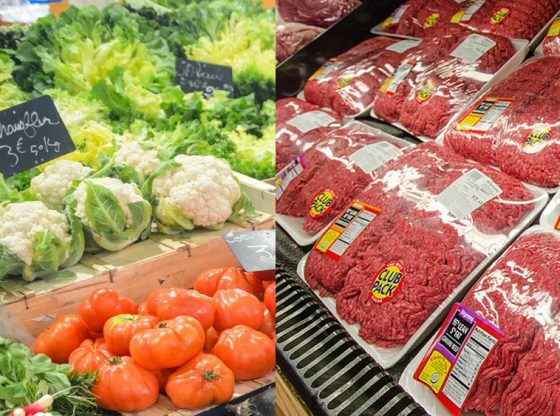 The grocery store and meat market includes fresh vegetables, variety of meats, specialty food items, new register, ATM, lottery, beer, cigarettes, coolers, shelves, display cases, and forklift. Great neighborhood market for local residents. Business highlights include corner lot, on-site property manager, freeway visibility, and mixed use. The property is just 15 minutes away from Charlotte Douglas International Airport. Great opportunity! Make an offer while it lasts. Call 919 428 9840 to set up an appointment with the seller of this business, pictures or for additional information. Buyer must independently verify any of the information about the business. Facilities: The grocery store and meat market consists of 3 parcels, totaling nearly 1 acre. It has high traffic count of more than 20,000 vehicles per day. Growth & Expansion: High foot traffic with the neighborhood housing market in Charlotte constantly growing. There is a new home community of 80 homes behind the grocery store, nearly half of which are already built and sold.